We have talked before that a standard flatware spoon from the cutlery drawer should never be used to administer medicine. According to this report from the Pediatrics Journal not picking the right spoon led to around 40% chance of error in dosage. The better choice is a medicine dispensing spoon. 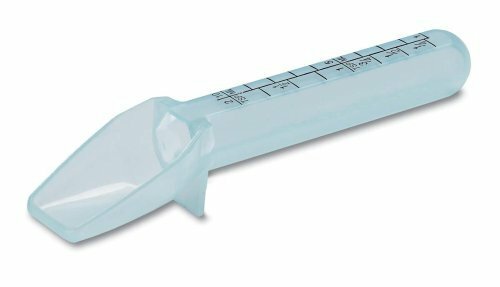 This Medicine Spoon By Apex Healthcare is easy to fill accurately while upright. The dosage is up to 2 Tsp and as little as 1 ml. The design makes it easy for feeding children or the elderly without spillage. A 3 pack is a good idea. What they have done is added extra metal as a triangular ridge on the bottom face of the handle. The result is that when you set it on the table the top end of the fork, knife or spoon is suspended in the air above the table. In short, it “Floats”. 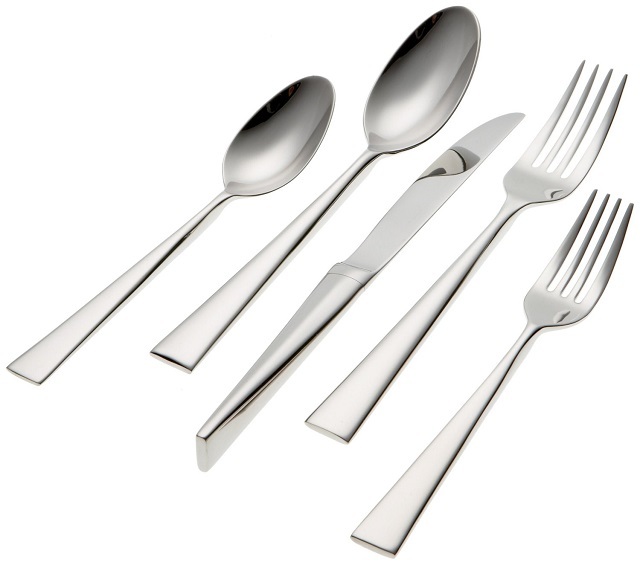 Made of dishwasher safe 18/8 stainless steel it also adds some extra heft to the cutlery. Very nice design and a nice set of flatware. A lot of babies are born in Fall it seems (my list of birthdays proves it to me). A very popular new cutlery product for babies right now are the BEABA First Stage Silicone Spoons. This set of 4 silicone spoons are specifically designed for a baby introduced to solid food. The ergonomic handles make it easier for the parent trying to get food into that cute quick moving face. The hygienic all silicone design are BPA, lead and phthalate free. The silicone is soft to make it safe for a sensitive mouth and actually doubles as a teether.